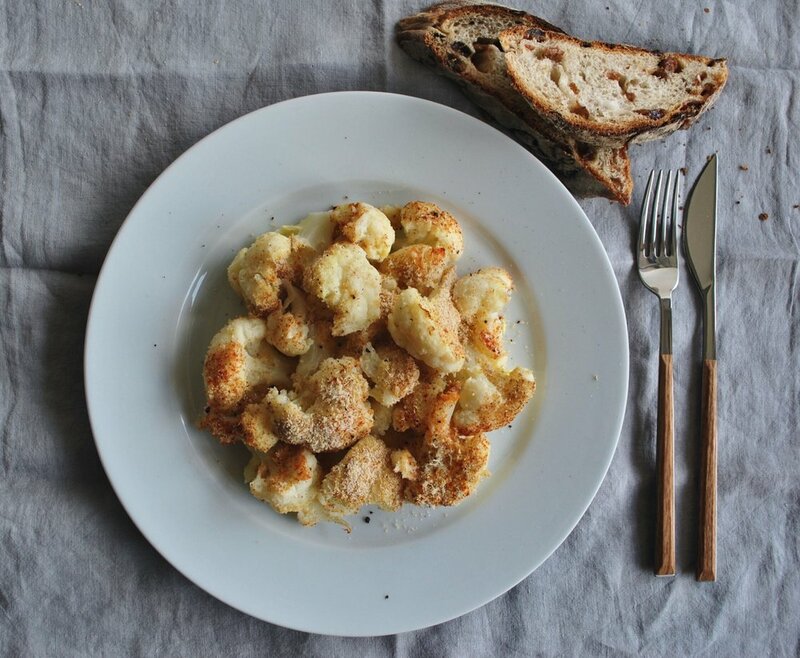 Cauliflower is pretty popular these days, which makes sense because this veggie is super versatile. Even better, it's super nutritious. These white bunches are a great source of fibre and potassium, super low in fat and sodium. It can be consumed raw, roasted in the oven, cooked in tomato paste (yiahni - the Greek version) etc. The following recipe is not only delicious but also high in protein. extra virgin olive oil to grease the baking pan. Clean the cauliflower by completely removing the out layers. Cut into slices about 2cm thick and remove the cauliflower florets. 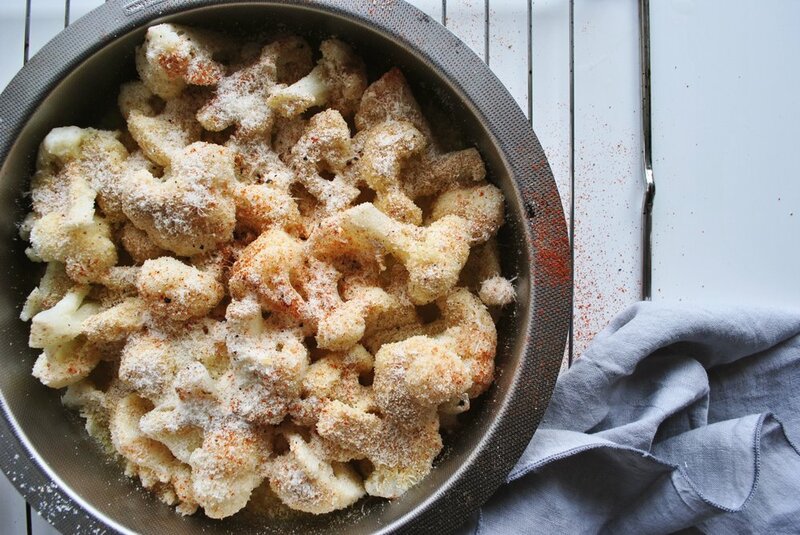 Boil the cauliflower for about 10 minutes in a pot with plenty of salted water. 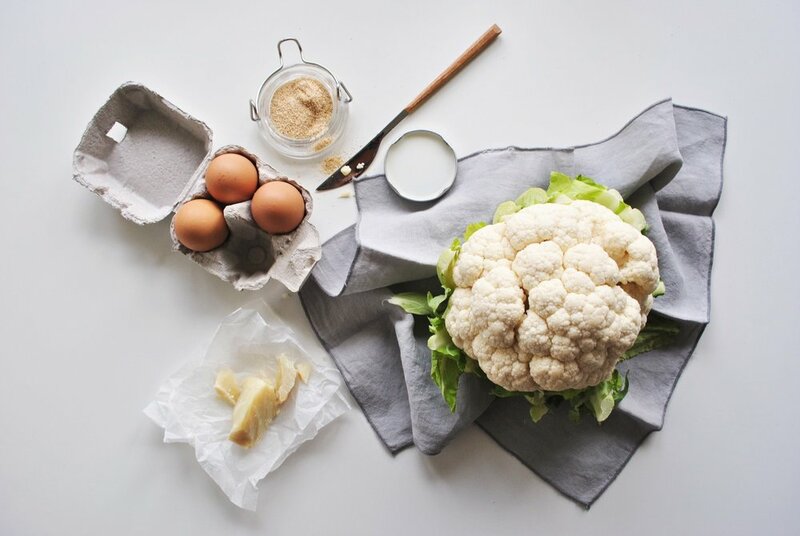 While boiling the cauliflower tops, beat 2 whole eggs with a handful of grated parmesan and a dash of milk in a bowl. Adjust with a pinch of salt, paprika and the pepper. Drain the cauliflower and dry it with a clean cloth. Put the cauliflower in a greased baking pan and pour the mixture with the eggs. Sprinkle everything with the breadcrumbs and grated parmesan. Bake for about 15 minutes at 200°C. The last 5 minutes, use the grill to form the crust.